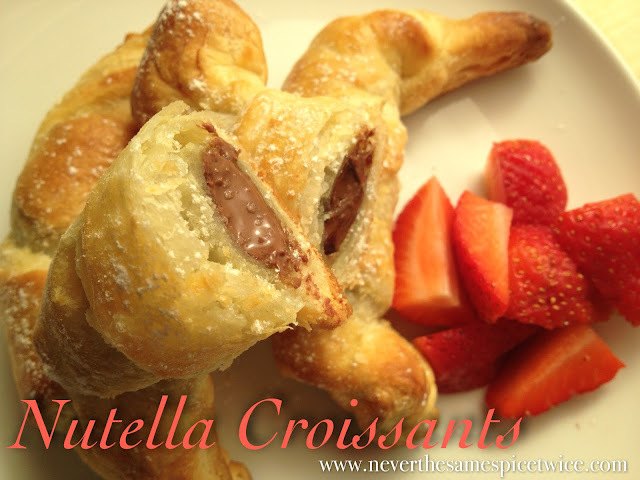 I had an extra sheet of puff pastry, so I tried this Laura Vitale recipe (CLICK HERE)...BIG HIT!!! There is also a short video that shows you just how simple these are to make. I only had enough for each of us to have just one....I could have eaten all 8!!! It took me only 15 minutes to bake these beauties! these will be a crowd (ie husband) pleaser! When I made them, we only had enough for ONE EACH...it was rough!!! These look delicious! I've put chocolate chips in the middle, but never Nutella! I just joined your site, and I'm new to the blogging world. I'd love it if you'd come say hi!